These resources should provide you with a basic framework for building your local program. We’ve also included video excerpts from a previous program cycle to help you better understand what these items look like. “On Me!” Documentary (90-min) – this is a must-see! These logos were developed by Kids are OuttaSight! 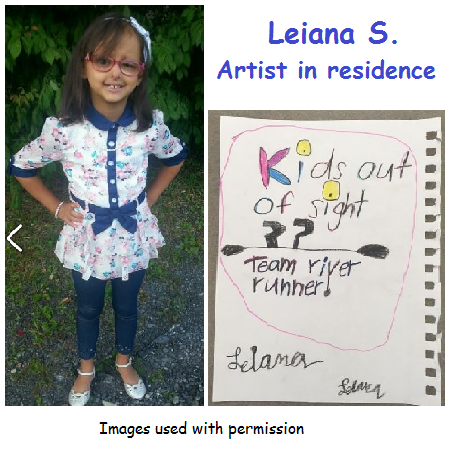 participants, parents, TRR staffers, and helpers; of note were the contributions made by Leiana S., one of our KAOS padders and a wonderful budding artist. You are free to use them in your chapter’s KAOS program. Contact Bill Butler if you would like the source files to customize them for your own chapter’s KAOS logo.